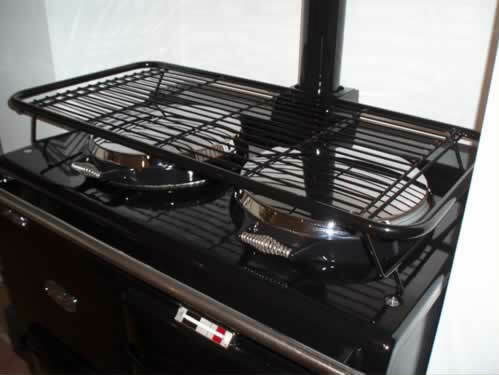 Please have a look at our accessories for Aga range cookers. A must for all Aga range cooker owners! This rack with its superb design allows you to dry your clothes using the heat from of the top of the Aga range cooker without burning your clothes. With this you can conveniently air and dry clothes,crockery and much more safely all in the wasted heat that comes away from the top of your aga range cooker. They are finished in black powder coating which is very durable. One customer commented on how she had one for 4 years and it still looks like new. She is very pleased with it and hasn`t used the iron since! 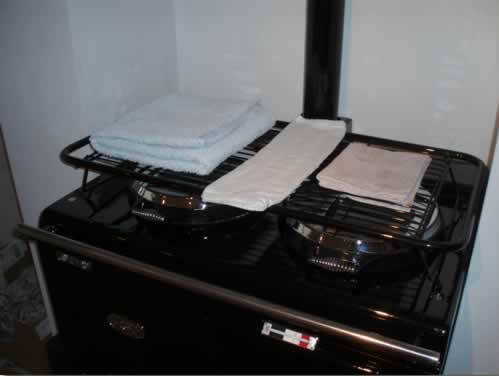 The clothes airer will fitt a Standard and Deluxe Aga range cooker. The legs fold back underneath for easy storage ! To check for availability and order an item please contact us.Or if there is a certain part, spare or accessory you would like that we haven't listed.